Social media and interplanetary mission — what do they have in common? Well, they have in common the Mars Orbiter Mission, also known as ‘Mangalyaan’. It was launched on 5th November by the Indian Space Research Organization (ISRO). It generated a lot of interest across the globe among millions of people on Social Media networks. In this blog, we analyze how Twitterati reacted to this news. 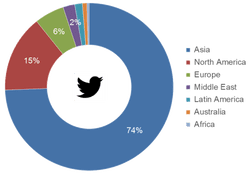 Asia was by far the most interested in the subject, covering 74% of all the tweets on ‘Mangalyaan’. North America followed with a less impressive 15%, while Twitter users from Africa, Australia or Europe did not pay too much attention to this topic. 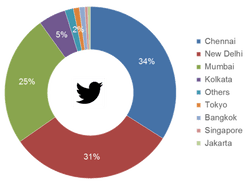 Focusing on Asia, tweets about ‘Mangalyaan’ were concentrated in Chennai (34%), New Delhi (31%) and Mumbai (25%). Monetary discussion – quoting several recent scams and profligate public expenditures in India, users opined that the mission’s budget seemed a better use of government spending. Users also pointed out the price efficiency of this mission compared to similar programs of other countries. Politics and current affairs – references to the upcoming 2014 general elections in India and the likely government (the ruling United Progressive Alliance or the Narendra Modi-led Bhartiya Janata Party) at the time, given that Mangalyaan is slated to enter Mars’ orbit in September 2014. Pride and appreciation – celebrity and media praise for the mission, especially to ISRO Chariman K Radhakrishnan and his team. Khyati Bheda: Khyati’s current interests lie in analyzing social media data to generate business insights and recommendations. Prior to joining Tiger Analytics, she worked as a market intelligence professional at Deloitte, providing industry analysis and competitive insights to aid business development. 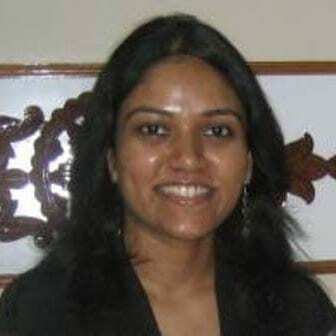 She holds an MBA from NIRMA University, India. Mohankrishna K: Mohan currently works at the intersection of analytics and technology, prototyping analytic frameworks. He has experience with a wide variety of statistical modeling techniques and a slew of programming languages. 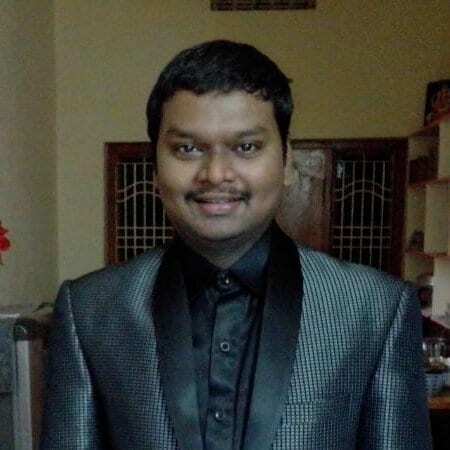 Prior to Tiger Analytics, Mohan was responsible for analytics at an online education start-up. He holds a B.Tech from IIT Madras.